4-month-old Baby Navya has been diagnosed with Complex Cyanotic Congenital Abnormalities otherwise known as Blue Baby Syndrome. She is struggling to breathe, and fighting to stay alive right from her birth. She needs a surgery to not only survive but also grow up as a healthy person. She has had the heart condition ever since she was born. The family did not quite understand it. They are not well read and never really knew that babies could have such complicated illnesses. Navya was brought to Ahmedabad. A few people in the village suggested this hospital may be good and even the doctor referred us. They immediately scanned, tested and found out that she had a problem in her heart. 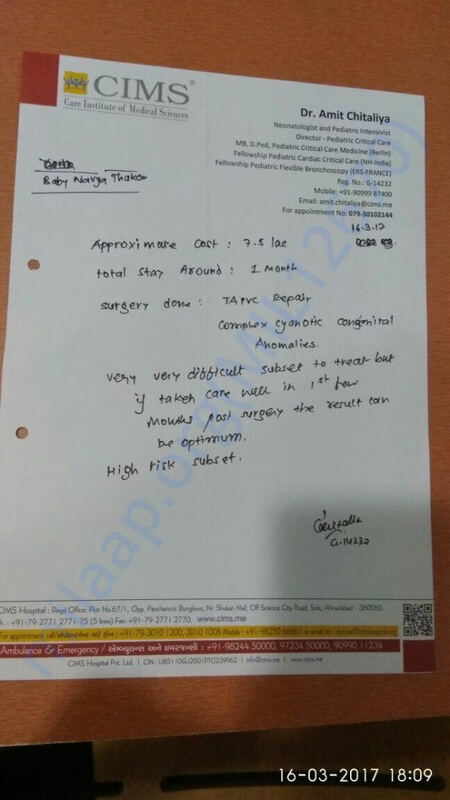 Our nanhi pari is not even old enough to walk or talk, yet she is fighting the biggest battle of her life and she needs a major surgery to save her.- says her grandfather. Her father is a farmer from Gandhi Nagar. When there is no work on the lands, he works as a rickshaw driver. Grandfather works as a coolie. Together they manage to earn Rs. 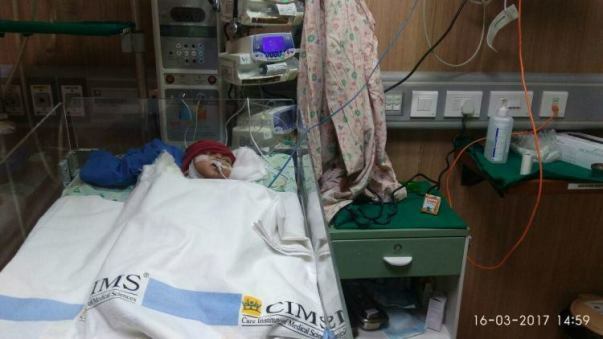 500/day for the household.The family cannot afford the surgery that can save her life. 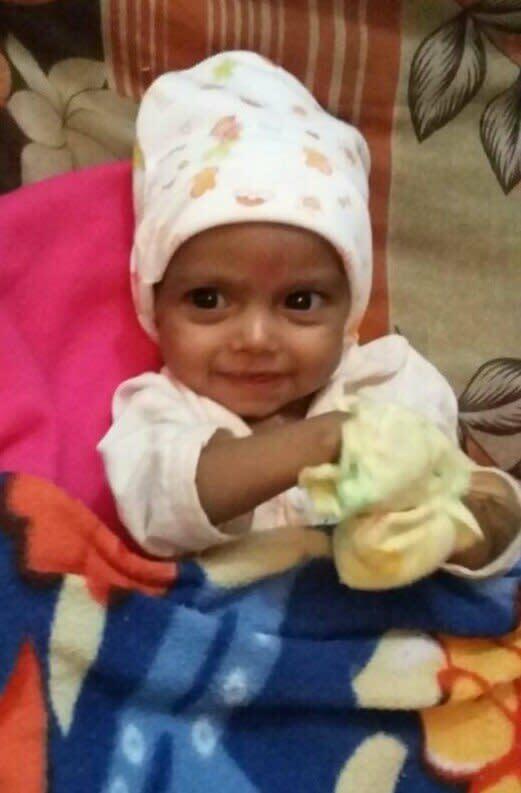 Your contribution can help Baby Navya stay alive, and live the life she deserves. Please find the recent pictures of Navya. Thank you for all the support and blessings. Thank you so much for coming forward to help this little kid. We do have some good news to share. 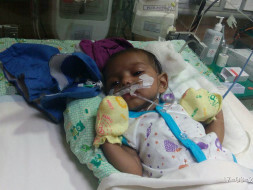 Navya successfully underwent the surgery and is back home. This little baby can now have a healthy life, thanks to every one of you who have shown all the love and support. We will initiate the transfer to the hospital against the medical bills. Thank you once again! Here is a recent picture of Navya. All the best brave girl.